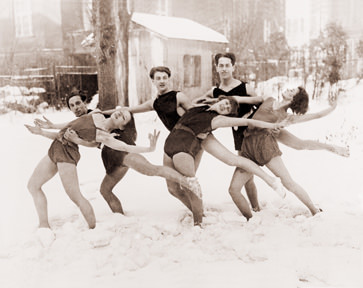 Oh to be free to dance in the snow in your pants! So, yes, Christmas is coming and the nut roast is getting fat. Embody Pilates will be taking a break over the holiday season from Friday 22nd December to Tuesday 2nd January inclusive. This means the last class before I break up (not literally) is the 1900 session on Thursday 21st December and the first class back is the 1015 session on Wednesday 3rd January. For those most affected by the changes to the timetable, you’re welcome to book into one of the other classes taking place in the week running up to Christmas and in the week after New Year. This entry was posted in Uncategorized and tagged Christmas, Los Ageless, Masseduction, Pilates, St Vincent by Embody Pilates. Bookmark the permalink.